Investing in maturing Scotch whisky can achieve high returns. Good returns from whisky maturation have been achieved over many years, but historically only distillers and blenders could benefit. Launched in 2015, WhiskyInvestDirect changed that, by allowing private investors to buy quality whiskies at wholesale prices. Already some 2,500 users own the equivalent of 25 million bottles of maturing Scotch in accounts ranging in size from £700 to £750,000. Economies of scale mean your whisky will be stored — still in the barrel — at exceptionally low cost, in the original distiller's bonded warehouse. Its safe storage there is evidenced every month by our published audit. You will own the whisky as it matures, and when you decide to sell, via our trading exchange, you'll receive a transparently competitive price from other users and industry bidders. To date, mature whisky bought back by the trade has realised an average annualised return of over 10% for private investors — after all costs*. Together we profit through tackling this industry's greatest problem — the large working capital requirement of financing maturing stock. Which whiskies can I buy on WhiskyInvestDirect? * Past performance is no guarantee of future performance. Capital is at risk. Deposit money into your account. Buy whisky with your money. Your whisky matures in the cask, improving with age. Sell your whisky 24/7. Withdraw your cash. WhiskyInvestDirect is supplied by many of the top Scotch distilling companies including Diageo, Beam Suntory and Whyte & Mackay. WhiskyInvestDirect is part of the BullionVault group which is trusted with the care of nearly $2 billion of private investors' precious metal. Although there are no guarantees, you should expect to profit by selling maturing whisky into normal blending demand, though prices can be volatile. The cash price for 8-year old Scotch whisky bought new, and sold each year of the decade 2008-2017 shows average historical returns of 15.2% per annum. This number is net of our trading commission. However you would have paid storage fees of 15p per Litre of Pure Alcohol (LPA) per year, bringing the return down to 11.8% p.a. This compares very favourably to deposit rates, but it does involve some risk. Adjusting for inflation your 'real' historical return would have been 8.1% p.a. Each of these figures was for an equal holding of typical malt and grain whiskies. Mixed together before bottling they make blended Scotch. Industry broking data (2008-2017) from the Scotch Whisky Industry Review (supplied by kind permission of Alan S Gray). The data shown are net of trading commission, storage costs and evaporation. The cost of wood is not included. Of course, we cannot guarantee you will make money. Naturally there are risks. But there are many sensible reasons for investing in whisky maturation. Why hasn't it been possible before? Previously there have been two big problems which prevent private investors from participating in whisky maturation: complexity and scale. These combine to make prices of barrel whisky very much higher for smaller deals. The industry has two big problems: (i) estimating its sales growth during 10 years of maturation and (ii) financing the stocks to meet that unknowable future demand. We help producers out of these difficulties by inviting them to produce more whisky, and we commit large sums of our money to buying it young. Producers know the quality of their output will be maintained, because they continue to look after it themselves during maturation. Producers are pleased to generate revenue from storing whisky which they produced but do not own. It helps to offset the cost of storing their own stocks. Producers become confident to invest more in brand development, knowing that through WhiskyInvestDirect additional stocks will later be available at a fair and competitive price - if their brand development goes well. Because we help them, the distillers sell through us, to you, at wholesale prices - which are much cheaper than typical barrel purchase programmes. 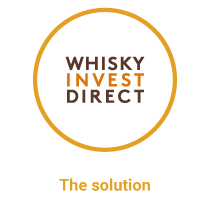 WhiskyInvestDirect aggregates the whisky stockholding demand of a crowd of private investors to become a major stockholding operator in the whisky market. We deploy substantial funds to buy young whisky on our own account direct from the distillers, and we arrange for its storage in bonded warehouses. See the whiskies you can buy on WhiskyInvestDirect. You open and fund your WhiskyInvestDirect account. You log in to the system and buy your whisky from us, or from other users if they offer it cheaper. Either way you will be paying exceptional prices. You want to be a whisky wholesaler - acting for profit. You understand that whisky maturation usually offers you a sensible return, which you believe has a good chance of being materially better than returns you get from a deposit in a bank. You like retaining access to your money in the event that you may need it quickly. You view whisky as a useful investment diversification - though not as a substitute for other mainstream investments. You realize that it can be difficult to invest in whisky, and you are pleased to be part of a crowd, so that your combined market power gets you a better deal. You do not want to be involved in the operational details (wood, re-vatting, re-gauging, blending, bottling, etc). When you buy or sell only ownership of the whisky changes. It does not move. There is no shipment, and there are no delivery costs. Trade in units from one Litre of Pure Alcohol (LPA) up to tens of thousands. There's no tie-in. Sell, and withdraw your money, at the time which suits you. New stock lines which we bought wholesale within the previous two months are offered within 2% of the wholesale purchase price. We'll keep you informed when a blender is bidding for any stock line you own. Deal with other private investors, distillers, blenders or us - whoever offers you the best price - via our 24/7 live order board. When you sell, your funds settle instantaneously to your WhiskyInvestDirect account, ready to buy more whisky or to withdraw. Your money is returned by bank transfer the next business day. "Investors can now gain exposure to an entirely new asset class: whisky in the barrel… [a] market never before widened out to include private investors." "There is no minimum investment and no minimum length of time that investors have to hold the whisky…"
"Turning wholesale whisky into an asset investable for individuals is a very unique idea… Whisky's nature — that its value increases as it ages — is completely different from other commodities." Kazuhiko Saito, Chief Analyst, Fujimoto Co.
"WhiskyInvestDirect has turned whisky into a new asset class… Investors get into the market when the spirit is at its cheapest." "To invest in the liquid gold of Scotch whisky you need an experienced guide, and with over twenty years in the trade, much of it in the key emerging markets, Rupert Patrick [CEO, WhiskyInvestDirect] certainly knows his stuff." "[The] whiskies are stored in the original distiller's bonded warehouse, independently audited each month… you can sell at any time." "The merit of investing in whisky is risk dispersion." WhiskyInvestDirect combines in-depth knowledge of the whisky trade with the online expertise of its parent company, Galmarley Ltd.
Galmarley is a holding company which has one other operating business: BullionVault. BullionVault is the world's largest online investment gold service, taking care of $2 billion worth of gold, silver, platinum and money for more than 65,000 users. More about BullionVault. Commission to buy or sell: 1.75% by value. Storage (including insurance): £0.15 per Litre of Pure Alcohol per year (£3 per month minimum). Fees are billed to your account. You can buy the following whiskies. We'll regularly add further whiskies to our order board as they become available. How large is the Scotch whisky industry? Scotch whisky is big business. Worth about £5 billion to the UK economy, Scotch whisky is responsible for 25% of UK food and drink exports. Scotch whisky is made from cereals which are allowed to begin germination, a process which releases enzymes that turn grain starch into sugar. The germination is halted by heating, and yeast is added to ferment the sugary mixture. The fermentation result - basically beer - is distilled to produce a clear-coloured, sharp distillate which is not suitable for drinking and which contains several hundred complex organic compounds. Water is then added back, and the mixture is stored for maturation in naturally permeable, second-hand, oak barrels. The barrels, which will previously have stored bourbon, sherry or possibly port, offer a richly complex semi-permeable membrane through which gases can pass. There the many different organic chemicals interact both with the distilled spirit, and with each other, during this maturation process. In ways which are not fully understood the chemistry of the distillate changes subtly as it reacts with the second-hand wood, and with the cold, damp, Scottish air which slowly crosses the membrane. What's the difference between single malt whisky and grain whisky? Single malt whisky is made in a traditional batch process using a copper pot still at a single distillery. Single malt is the premium, traditional style of whisky, but the artisanal manner of its production is not easily scaled. When bottled as single malt it accounts for 8% by volume and 18% by value of Scotch whisky production. Single grain whisky is made continuously via a modern column still, on industrial scale. The output is purer alcohol, but with much less flavour and character than a single malt. The single most important fact about whisky is that the fate of very nearly all single grain whisky is to be blended with one or more single malts to produce a much better tasting derivative type called blended Scotch whisky. Single grain accounts for 60-85% of the volume of blended whisky, which accounts for 92% of Scotch sales by volume, and 82% by value. How big is the world market for Scotch whisky? The world market for Scotch is currently about 100 million cases, 93% of which is exported from the UK. This is equivalent to about 35 bottles leaving Scotland every second of the year. It is relatively evenly distributed across major markets. Scotch has a 4% share of the global spirit beverages market by weight, and about 12% by value. It sells as a high status premium drink primarily to affluent middle-aged men. The fortunes of Scotch are closely correlated to the world economy. Growing global GDP tends to encourage Scotch demand. Scotch consumption tends to falter when economies contract. Will the extra inventory WhiskyInvestDirect causes to be produced cause a glut, and depress prices? This is a theoretical possibility - but the scale of the industry makes it very unlikely. The industry is comfortable with 8-9 years' worth of sales undergoing maturation. Following unpredicted demand over the period from 2009 to 2013 the industry's stock level of mature whisky is currently tight. There is no glut at the moment. WhiskyInvestDirect's plan, over 10 years, is to own and store a small percentage of the aggregate stock - equivalent to between 1% and 3%. This is in line with the sales growth projected by many industry analysts. What quality is the whisky? All the spirit/whisky is good quality single malt and grain produced by reputable distillers. How is the whisky stored? The whisky is stored in oak barrels, in bonded warehouses in Scotland. The warehouses are run by highly reputed whisky producers with whom WhiskyInvestDirect has entered into agreements for storage. The particular bonded warehouse location of every barrel is specified, and evidenced on the monthly Audit, published on the WhiskyInvestDirect site. Stockholders often redistribute barrels from the same batches to multiple sites, in order to reduce single site exposure for each individual whisky. These warehouses operate under Duty suspension, and HMRC exercises strict control over them. How much whisky is in a cask? Our most common 'hogshead' barrel contains approximately 250 liquid litres. The spirit is filled into the cask at 63% alcohol, so there are roughly 157 Litres of Pure Alcohol (LPA) in each cask. Both the whisky and the water evaporate - together at just under 2% per year. Because the alcohol evaporates a little quicker than the water the strength slightly reduces during maturation. Commonly used bourbon barrels hold around 120 LPA and larger sherry butts hold over 300 LPA. Do I have to buy an entire cask? No. Our unit of measure is a Litre of Pure Alcohol, or LPA. You can buy as little as one LPA, but with our minimum storage charge of £3 per month such small purchases are not economical. Which whisky is the best to buy? We expect each whisky to mature well. While we can't predict future demand, we know that all the whiskies we buy are important components in leading Scotch whisky brands. Where does the stock of whisky come from? We buy directly from a variety of well-known and widely respected Scottish distillers. On the order board - where you trade - you will see each different whisky identified by name. Many of them are very well known. How do I know when my whisky is mature? A whisky can be considered 'mature' as young as three years old, or it might carry on maturing for 20 years. It depends on many factors, not least of which is the marketplace, and how much brand premium a brand owner can expect to earn from bottling that particular age. The best way we can tell that a whisky is approaching maturity is that a brand owner decides to buy some of it. When that happens we keep you informed. What happens when the whisky has matured? We all share the objective of getting mature spirit profitably bottled and shipped to the consumer. That is the job of the brand builders and trade customers, and we keep them informed regarding the availability of maturing stock on WhiskyInvestDirect. Before WhiskyInvestDirect, brand owners who had sold all their 10 year old production had restricted opportunities for buying more whisky. This is what we change. In the future, the more marketable your particular holdings, the more attention you will get from trade buyers who need mature blending stock for their successful brands. Sometimes the trade will simply post bids for a particular stock line on our order board. They can ask us to notify owners, to draw attention to the bid, which means you will not have to keep a close day-to-day watch on bidding. They can also make Bulk Trade Bids. These offer a way for trade buyers to acquire a lot of whisky from multiple owners under the same commercial terms. We always notify our customers when there is a Bulk Trade Bid and of course bidders have to make their bid attractive in order to encourage holders to sell. Often these bids will offer you a premium from the prevailing price. Once you sell, the buyers will withdraw the whisky from the warehouse for blending and/or bottling. Then the whisky is usually shipped to consumer markets rapidly. They take care of the associated formalities and charges. As a user you do have a bottling right, which you can certainly use if you think your whisky would profit you better in your own bottles. But don't forget there are issues with warehouse licensing, shipping and tax. WhiskyInvestDirect is not suitable for small scale bottling runs because the minimum fees are set for industrial quantities, and are significant. Barrel whisky evaporates at just under 2% per annum, which is known as the Angels' share. Evaporation is part of the maturation process. Wholesale whisky is traded as Litres of Pure Alcohol (LPA) on an Original Fillings Basis (OFB). In combination they refer to the amount of spirit which went into the barrel at the outset (filling). When you come to sell your whisky it doesn't matter how much has evaporated. You sell LPA on the OFB. It is up to the buyer to make an approximate calculation of how much actual spirit will be in the barrel by anticipating the total quantity shared out between 'the angels'. Can I visit the distillery? Approximately 50 of the 100 Scotch distilleries are open to visitors. Some of the others are happy to arrange visits by appointment. I can't see the whisky I am interested in. There are over 100 single malt distilleries in Scotland. WhiskyInvestDirect deals in significant volume in top quality malts and grains and regrettably there will always be some fine whiskies which are unavailable. In value terms it's difficult to differentiate between the available whiskies. We stock some famous brands, and they can trade at a premium over the others. But this is not necessarily a good indicator of ultimate financial returns, and as with stocks and shares it is never obvious which will be the winners. Again, just as most investors select a variety of stocks and shares, most of our users choose a sensible and conservative variety of whiskies. Single malt whisky is generally considered more valuable than single grain whisky. Whisky appreciates in the barrel. So older whisky is generally considered more valuable than younger whisky. Different barrels mature whiskies with different results. Sherry and port barrels are harder to source and impart particular flavours, so whisky matured in these barrels are generally considered more valuable than whisky matured in more common bourbon barrels. First fill barrels usually mature better than refill barrels, so they are usually considered the more valuable. In percentage terms, because storage is charged according to physical volume, the carrying cost of cheaper whiskies is higher in percentage terms than the carrying cost of more expensive ones. The historical data suggest that after allowing for storage costs and evaporation the financial returns in the decade from 2006 to 2015 on typical blending single grain whisky was slightly superior to the return on typical blending single malt. Over the last decade (to 2015) sales of single malt have grown faster than sales of blended Scotch whisky. What's better, grain or malt? Grain (~75%) and malt (~25%) are the key ingredients in blended Scotch whisky, which represents about 90% of the market, with the other 10% being single malt. Consequently grain whisky is produced in higher volumes, and from a small number of very large industrial distilleries. It is widely considered inferior to malt and relatively few people enjoy drinking it unblended as single grain whisky. Malt is more varied and more characterful - and also more expensive to produce. Large numbers of people enjoy single malt whiskies, which do on occasion become very highly sought after, and can therefore provide a high potential upside to the investor. Both grain and malt require barrels for maturation, and of course both cost the same to store. So the running cost of owning cheaper grain spirit works out as a higher percentage of your investment. All of these factors suggest that single malt is the better product. However in considering value you must also consider price, and single grain usually costs materially less than a similarly aged single malt. So in spite of the superiority of single malt over single grain, over the last 10 years, because of its lower buying price, single grain has usually provided a higher overall return. Can I see a breakdown of performance by distillery? We have no historic data on the performance by distillery. We will of course track this data as we go forward. How are prices for buying and selling determined? The WhiskyInvestDirect order board acts as a stock exchange for whisky. It is directly accessible to all - to you, other users, the industry professionals, and WhiskyInvestDirect itself. On it you will see competing bids and offers from anyone ready to trade their whisky. These bids and offers produce, at any time, a highest (best) bid, and a cheapest (best) offer, which will usually be very close to each other. The midpoint between them is considered the current price of a whisky. WhiskyInvestDirect accepts a special responsibility when it comes to its offer prices for new whisky stock. We undertake that stock which we bought wholesale within the previous 2 months will be offered within 2% of the price we paid for it. WhiskyInvestDirect is regulated under English Law. Its regulatory status is markedly different from the financial services industry. You are not buying something which under English law is defined, by the Financial Services and Markets Act, as an investment. You are instead buying a tangible product which - through the construct of bailment - you will own outright as your physical property. This sort of purchase, and the custody of your property, is regulated by a number of laws which are generally more intuitively and widely understood than is financial services regulation. The relevant legislation includes the Sale of Goods Act 1994, Fraud Act 2006, the Theft Act 1968, and the Anti Money Laundering Regulations 2007 etc. These statutes apply broadly to non-financial British businesses and have proven effective instruments for fair regulation of the purchase and sale of goods. What would happen if WhiskyInvestDirect failed? Your whisky is safe from WhiskyInvestDirect's insolvency - a liquidator cannot claim it as an asset of the business. With many investments (e.g. a deposit account, or a bond) you transfer your property to a business and allow yourself to be treated as a creditor. If that business were to fail this would entitle you, as a creditor, only to a proportionate share of the gross assets of that business, which would in due course be distributed to you by the liquidator. But through WhiskyInvestDirect your property is held in safekeeping. This means you make no transfer, and your whisky does not become owned by WhiskyInvestDirect. You are not a creditor, you are the whisky's owner. Consequently the liquidator cannot consider your whisky as the property of the company, and must return it to you in full before any payout to creditors. This is the huge advantage of being an owner of property and not a creditor of a business. You cannot lose your stock through insolvency, only through its physical theft or destruction, and these risks are insured. How can I be sure the whisky is there? Your whisky is stored in HMRC-registered bonded warehouses, managed by the Scotch whisky producers we buy from, all of whom are members of the Scotch Whisky Association. The whisky producers provide a cask list, which lists all the casks and the spirit maturing in each. We publish the cask lists on our web site. Every month we also publish online our register of owners and their holdings. (We hide identities by listing holdings against your public nicknames, not usernames.) You can check for yourself that the total on the register matches the total on the cask list. Do I get a certificate as proof of ownership of my whisky? A formal certificate changes the legal status of what you own from a physical asset, to a security evidenced by a certificate which purports to be backed by whisky. Suddenly the law has to consider what would happen if there were more certificates in issue than there was whisky backing them. 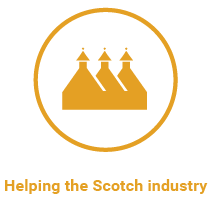 Title to WhiskyInvestDirect client whisky derives from the register which modern technology (the internet) allows us to put in the public domain. You will receive a monthly statement which reflects the register. Also you can view the register whenever you want online. WhiskyInvestDirect is structured for you to own whisky, not a security. Yes, all the whisky is insured. The cost of the insurance is included in the storage charge. Can the whisky spoil or go off? Rigorous quality controls are done before the whisky is filled into cask. Once the whisky is in cask it is rare for it to spoil and any spirit quality issues are almost certainly due to a defective cask which can be isolated before blending or bottling. 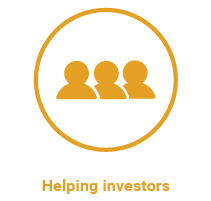 WhiskyInvestDirect customers are protected from any quality issues by our standard commercial agreement with suppliers. How do you guarantee the quality of the whisky? The whisky you buy is sourced directly from selected leading distillers who have their own high quality standards. We also sample the whiskies we buy to ensure they meet our expectation. The following information is presented as guidance for UK investors. Will I have to pay UK Capital Gains Tax? In the UK most people have an annual CGT exemption. In 2017/18 it is applied on the first £11,300 of gains across all their investments. If profits on WhiskyInvestDirect are deemed capital gains, then ordinarily the amount of the annual exemption would apply, and profits above the annual exemption are ordinarily taxed at 20%. There is a possibility that the tax treatment of investing in whisky in bond will attract less tax. There are arguments concerning wasting chattels. With a new service like WhiskyInvestDirect there can still be some confusion on the application of CGT to profits. We are still awaiting firm clarification from HMRC. Will I have to pay UK VAT/Sales Tax? No. Maturing whisky stored 'in bond' is exceptionally rare in being a physical product in which you can invest without paying VAT. Personal tax issues vary, and WhiskyInvestDirect accepts no responsibility or liability in respect of the information presented in answer to any matters of tax. You should make further investigations yourself, and consult appropriately qualified people if necessary. I'm under 18 years old. Can I invest through WhiskyInvestDirect? WhiskyInvestDirect does not accept users who are under the age of 18. Also, you should be of legal age to purchase alcohol in your jurisdiction. Can I use more than one bank account to fund my WhiskyInvestDirect account? Linking a single bank account with your WhiskyInvestDirect account gives you a very high level of security. In exceptional circumstances, you can link a new bank account to your WhiskyInvestDirect account. When doing so, we will of course need to go through a strict security process to ensure the safety of your account. Which currencies can I use on WhiskyInvestDirect? You can operate your WhiskyInvestDirect account in British Pounds or US Dollars. When you open your account you choose which of these currencies you wish your account to be denominated in. You may send deposits in other currencies, in which case our bank will convert the funds, at their standard conversion rates, once they reach our client account. Or you can convert the funds before sending your payment. You can ask your bank to do this for you, but you may be able to obtain a better conversion rate by using third-party currency-conversion specialists. Is there a minimum length of time I have to keep the whisky? You can sell your whisky at any time. However, you are unlikely to recoup your trading costs if you use WhiskyInvestDirect for very short-term investments. Generally you should try to avoid exiting within the first few months. Can I reserve my own cask? No. It is not possible to reserve an individual cask. Can I take delivery of my whisky? Can I taste it? It is possible to have your whisky bottled and delivered to you but the complications and costs of setting up a bottling run are significant. You should probably think of yourself as an 'in-bond' wholesaler. Under these circumstances you will neither take possession nor sample the whisky. Your whisky will be stored safely along with the whisky belonging to other WhiskyInvestDirect users. It is possible to have your whisky bottled and delivered to you but the costs are not insignificant. More information on taking delivery is available in our help pages. We do not offer a sampling service. Can I hold my whisky in a UK SIPP? No. It is not possible to hold your whisky in a SIPP. The WhiskyInvestDirect website may not display properly and some features may not work fully.